I’m part of the group blog Project Mayhem: The Manic Minds of Middle Grade Writers, and in honor of the holiday shopping season, I wanted to celebrate some of my cohorts’ books – order a copy for your favorite middle grade reader, or for yourself! Here's the fourth (and final) part of the holiday shopping guide – Fantasy, Sci-Fi and Paranormal! Earlier posts covered Books for Fantasy Lovers, Historical Fiction, and Adventure Novels. See also my post on Write Better Next Year, with books on the craft of writing and resources for people who critique. The links are to the author’s website or blog; if you want to buy, it might be faster to go to your favorite online retailer and paste in the name, or ask your local bookstore to order the book. The Atomic Weight of Secrets or The Arrival of the Mysterious Men in Black: In 1903, five truly brilliant young inventors, the children of the world’s most important scientists, went about their lives and their work as they always had. But all that changed the day the men in black arrived…. 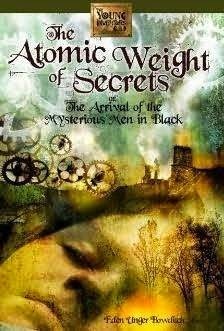 An amazing story about the wonders of science and the still greater wonders of friendship, The Atomic Weight of Secrets or The Mysterious Men in Black, the first book of the Young Inventors Guild trilogy, is a truly original novel. Young readers will forever treasure Eden Unger Bowditch’s funny, inventive, poignant, and wonderfully fun fiction debut. 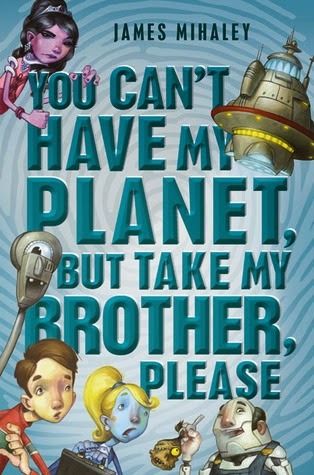 James Mihaley’s You Can’t Have My Planet, But Take My Brother, Please: Thirteen-year-old Giles is the last person anyone would expect to save the planet. He’s not as charming as his little sister, and not as brainy as his goody-goody older brother. But when Giles witnesses an alien realtor showing Earth to possible new tenants, he knows he’d better do something. With the help of an alien “attorney” and the maddest scientist in middle-grade fiction, Giles just might save humans from eviction from Earth. Let’s hope so. The alternatives are . . . not so hospitable. James Mihaley’s You Can’t Have My Planet is “Imaginative” (Publishers Weekly) and “Action-packed” (BCCB). 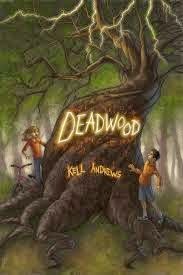 Kell Andrews’s Deadwood: Seventh-grader Martin Cruz hates his rotten new town, Lower Brynwood, but with his mom fighting a war in Afghanistan, he has no other choice but to live with his crazy aunt. Then he gets a message from a tree telling him it’s cursed—and so is he…. Now the Spirit Tree is dying, and the other trees in the park are toppling around it like dominoes. The town is plagued with unexplainable accidents and people begin to fade, drained of life. Martin must team up with a know-it-all soccer star, Hannah Vaughan, if he has any chance of breaking the curse. If they fail to save the Spirit Tree, it could mean the destruction of Lower Brynwood and a permanent case of bad luck. 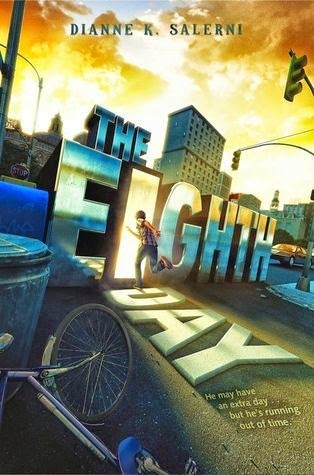 Dianne K. Salerni’s The Eighth Day: When Jax wakes up to a world without any people in it, he assumes it’s the zombie apocalypse. But when he runs into his eighteen-year-old guardian, Riley Pendare, he learns that he’s really in the eighth day—an extra day sandwiched between Wednesday and Thursday. Some people—like Jax and Riley—are Transitioners, able to live in all eight days, while others, including Evangeline, the elusive teenage girl who’s been hiding in the house next door, exist only on this special day. And there’s a reason Evangeline’s hiding. She is a descendant of the powerful wizard Merlin, and there is a group of people who wish to use her in order to destroy the normal seven-day world and all who live in it. The Ghost on the Stairs: Jon doesn’t believe in ghosts. Not even if his mother does, and married a man who researches ghost sightings for his own TV show. Not even when they travel with the show, and visit “haunted” places. But his younger sister Tania claims she can see the ghosts. Deciding to believe her is just the first challenge. Softhearted Tania wants to help the ghosts. First the siblings have to find out what happened to keep each ghost trapped in this world. Then they have to help the ghosts move on—sometimes by letting them take over Tania’s body. All this while dealing with their overprotective mother, a stepfather who’d want to exploit Tania’s gift, and a changing assortment of human troublemakers. 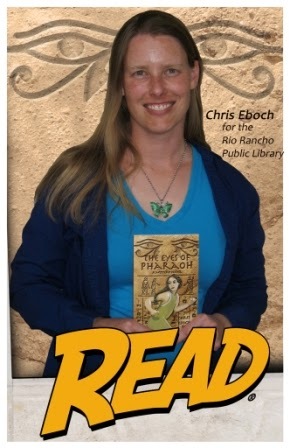 Chris Eboch’s novels for ages nine and up include The Genie’s Gift; a middle eastern fantasy, The Eyes of Pharaoh, a mystery in ancient Egypt; The Well of Sacrifice, a Mayan adventure; and the Haunted series, which starts with The Ghost on the Stairs. In The Ghost Miner’s Treasure, a brother and sister help a ghostly miner find his long-lost mine. Her book Advanced Plotting helps writers fine-tune their plots. Learn more at www.chriseboch.com or her Amazon page. I’m part of the group blog Project Mayhem: The Manic Minds of Middle Grade Writers, and in honor of the holiday shopping season, I wanted to celebrate some of my cohorts’ books – order a copy for your favorite middle grade reader, or for yourself! Today I'm posting adventure novels. See my last two posts for Books for Fantasy Lovers and Books for Lovers of Historical Fiction. 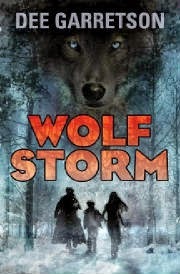 Dee Garretson’s Wolf Storm: This is Stefan’s big break. He’s on location in the mountains far from home for his first movie role, filming a blockbuster sci-fi adventure. The props, the spaceships, and the trained wolves on set should add up to a dream job, but acting turns out to be much tougher than he ever imagined, and he feels like his inner loser is all that’s showing through. And worst of all, no one will believe his claim that there are wild wolves haunting the forest around the set. When a blizzard strikes, isolating the young co-stars and bringing hungry feral wolves into the open, Stefan must take on his biggest role yet—working together with his co-stars to survive. With no second takes, they only have one chance to get it right. 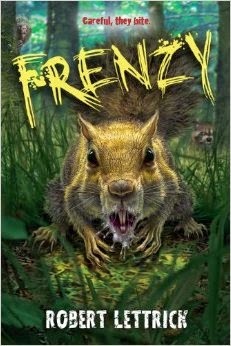 Robert Lettrick’s Frenzy: 14-year-old Heath Lambert is spending his summer at Camp Harmony in the picturesque Cascade Mountain Valley…. But something’s wrong with the animals in the surrounding forest. A darkness is spreading, driving them mad with rage. Wolves, bears, mountain lions—even the chipmunks are infected, spurred on in droves by one horrific goal: hunt and kill every human they find. 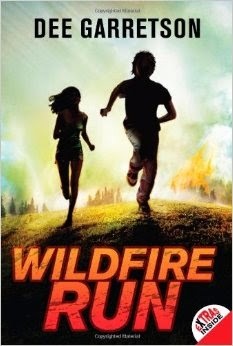 Heath and a ragtag band of campers are faced with a choice: follow Will’s lead and possibly survive, or follow the camp staff and die. But how do you trust a leader when you suspect he’s more dangerous than the animals you’re running from? Heath came to Camp Harmony to be surrounded by nature. He’s about to get his wish. The Adventure Collection: Six Spellbinding Novels for Middle Grades, by Chris Eboch, Sybil Nelson, D.D. Roy, Sam Bond, Jennifer Bohnhoff, Courtney Vail, and Sandra J Howell. 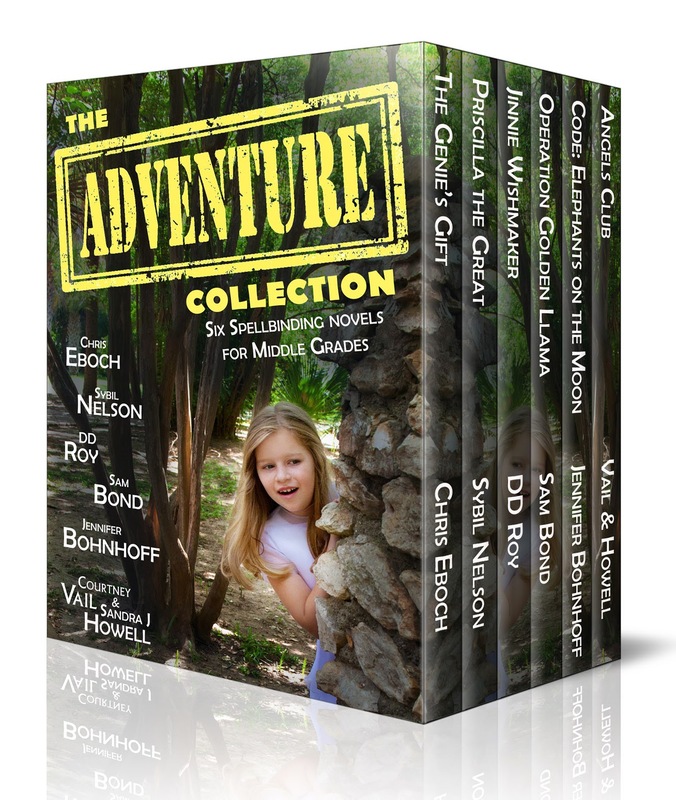 The Adventure Collection e-book set includes 6 fun books for middle grade readers. 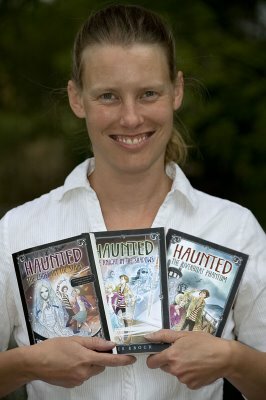 These novels include a search for ancient gold and a missing grandmother in the Peruvian jungle, a girl in Normandy during World War II trying to understand mysterious codes, genetically-enhanced assassins, travel across the terrain of the Arabian nights, wishes gone wrong, and rescue horses. Every book features a female heroine, or more than one. I’m part of the group blog Project Mayhem: The Manic Minds of Middle Grade Writers, and in honor of the holiday shopping season, I wanted to celebrate some of my cohorts’ books – order a copy for your favorite middle grade reader, or for yourself! Today I'm looking at historical novels. You can visit Project Mayhem for PM’s Holiday Shopping Guide: Books for Fantasy Lovers and PM’s Holiday Shopping Guide: Books for Adventure Lovers. 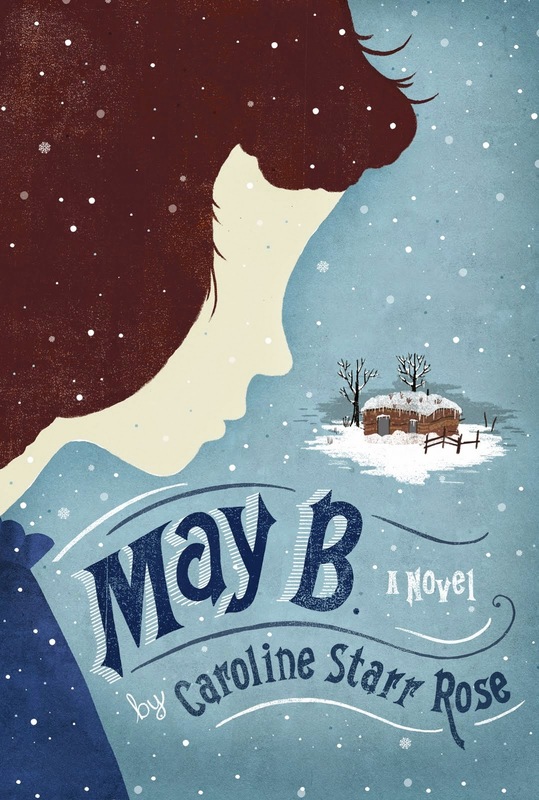 Caroline Starr Rose’s May B.: May is helping out on a neighbor’s homestead—just until Christmas, her pa promises. But when a terrible turn of events leaves her all alone, she must try to find food and fuel—and courage—to make it through the approaching winter. Caroline’s book Blue Birds, set in 1587 in the colony of Roanoke, Virginia, is coming in March. 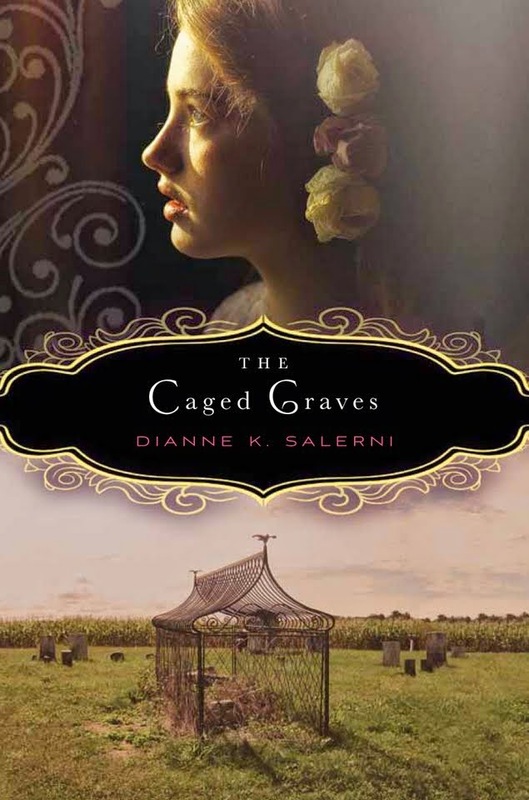 Dianne K. Salerni’s The Caged Graves (young adult): In Catawissa, the dead don’t always stay where you put them… 17-year-old Verity Boone expects a warm homecoming when she returns to Catawissa, Pennsylvania in 1867, pledged to marry a young man she’s never met. Instead, she finds a father she barely knows and a future husband with whom she apparently has nothing in common. And a truly horrifying surprise awaits her: the graves of her mother and aunt are enclosed in iron cages outside the local cemetery. Nobody in town will explain why, but Verity hears rumors of buried treasure and witchcraft. Perhaps the cages were built to keep grave robbers out . . . or to keep the women in. Determined to understand, Verity finds herself in a life-and-death struggle with people she thought she could trust. 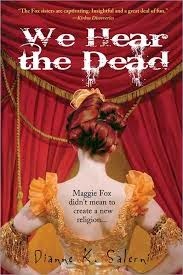 Dianne K. Salerni’s We Hear the Dead (young adult): Spirits knock and tables tip for Maggie and Kate Fox, two teenage sisters who convince people they can talk to the dead with their mysterious rapping noises. What begins as a clever prank traps the girls in their lie as neighbors beg for the chance to receive messages from dead relatives. When their older sister Leah realizes the money-making potential of the scam, she takes them on the road to bamboozle newspaper editors, politicians, and the public at large. As their fame grows, each sister pursues a different goal. Maggie loves the attention. Leah seeks wealth and influence. Kate comes to believe in her own powers. Then Maggie meets Elisha Kane, a dashing and romantic Arctic explorer who offers her a chance to better herself — but only if she will turn on her sisters and give up spirit rapping forever. Caught between two worlds, Maggie must decide where her loyalties lie. Chris Eboch’s The Eyes of Pharaoh: When Reya hints that Egypt is in danger from foreign nomads, Seshta and Horus don’t take him seriously. How could anyone challenge Egypt? Then Reya disappears. To save their friend, Seshta and Horus spy on merchants, soldiers, and royalty, and start to suspect even The Eyes of Pharaoh, the powerful head of the secret police. Will Seshta and Horus escape the traps set for them, rescue Reya, and stop the plot against Egypt in time? 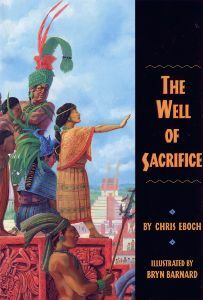 Chris Eboch’s The Well of Sacrifice: Eveningstar Macaw lives in a glorious Mayan city in the ninth century. When the king falls ill and dies, the city begins to crumble. An evil high priest, Great Skull Zero, orders the sacrifice of those who might become king, including Eveningstar’s beloved brother. Suspicious of the High Priest’s motives, Eveningstar attempts to save her brother, thus becoming the High Priest’s enemy. Condemned to be thrown into the Well of Sacrifice, Eveningstar must find a way not only to save her own life but to rescue her family and her city from the tyrannical grasp of Great Skull Zero. I’m part of the group blog Project Mayhem: The Manic Minds of Middle Grade Writers, and in honor of the holiday shopping season, I wanted to celebrate some of my cohorts’ books – order a copy for your favorite middle grade reader, or for yourself! The links are to the author’s website or blog; if you want to buy, it might be faster to go to your favorite online retailer and paste in the name, or ask your local bookstore to order the book. I’m starting with some fantasy novels that involve alternate worlds. Over the next couple of weeks, I’ll be listing books in the categories of Historical Fiction, Adventure Novels, and Fantasy (our world), Sci-Fi and Paranormal. Nightshade City: Book One: Deep beneath a modern metropolis lies the Catacombs, a kingdom of remarkable rats of superior intellect, ruled by decadent High Minister Killdeer and his vicious henchman Billycan, a former lab rat with a fondness for butchery. 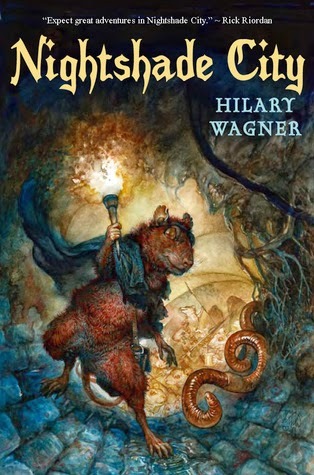 Three young orphan rats—brothers Vincent and Victor and a clever female named Clover—join forces with Billycan’s archenemy, Juniper, and his maverick band of rebel rats as they plot to overthrow their oppressors and create a new city—Nightshade City. 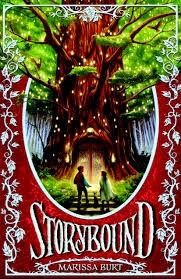 Marissa Burt’s Storybound: In our world, twelve-year-old Una Fairchild has always felt invisible. But all that changes when she stumbles upon a mysterious book buried deep in the basement of her school library, opens the cover, and suddenly finds herself transported to the magical land of Story. But Story is not a perfect fairy tale. Una’s new friend Peter warns her about the grave danger she could face if anyone discovers her true identity. The devious Tale Keeper watches her every move. And there are whispers of a deadly secret that seems to revolve around Una herself…. 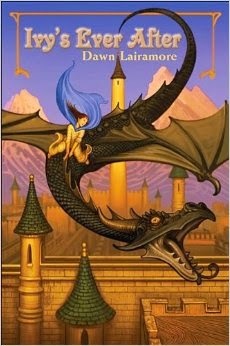 Dawn Lairamore’s Ivy’s Ever After: The kingdom of Ardendale has always locked its princesses in a white tower guarded by a dragon. It’s the only way to lure gallant young princes to the tiny, out-of-the-way kingdom to marry them. But Ivy is a princess who doesn’t care to be rescued, and Elridge a dragon afraid of being slain. Never mind that humans and dragons have loathed each other for centuries, it isn’t long before this feisty princess and rather undragonly dragon have fled the tower and set off on a perilous journey…. 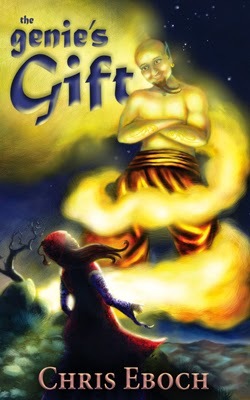 Chris Eboch’s The Genie’s Gift: Shy and timid Anise determines to find the Genie Shakayak and claim the Gift of Sweet Speech. But the way is barred by a series of challenges, both ordinary and magical. How will Anise get past a vicious she-ghoul, a sorceress who turns people to stone, and mysterious sea monsters, when she can’t even speak in front of strangers?